I find the world outside of my tiny bubble to be very depressing. Some days, I would rather not know what’s going on in the world, just because it depresses me so much. I am tired of watching the news. I am sick of discussing politics. I wish people would keep their religion to themselves, because I don’t want to talk about it. I am jaded about our government and, sadly, about humanity in general. I would rather not debate anything controversial. And if I think about it too much, I become overwhelmed and truly frightened that I brought Charlie into such a disaster. This is coming from a HuffPost-reading, NPR-listening, VERY opinionated person. I left a great blogging position over gay rights, I got into a Facebook fight on the night of the last election (not my finest moment), and I get truly heated when I see people throwing away recyclables. I will be raising informed, socially responsible children. But man, do I ever wish I could do that without listening to the news. If I’m honest with you, I have always been frustrated by people who put their heads in the sand. I will be frank and admit that I tended to judge them. I have a strong sense of morality, and whether I like it or not, I still bring my soapbox everywhere I go. I just can’t help it. I sometimes choose not to preach from it, but I still carry it around with me, right next to my iPhone and my house keys. But after having a baby, something changed in me. I just do not have the emotional energy to deal with the negativity anymore. Maybe it’s my lack of sleep, maybe it’s juggling all of my responsibilities, or maybe it’s the hormones. Whatever the case, it’s come as a complete shock to me. The interesting thing is that this extends to fictional negativity as well. Whereas I once loved Law & Order: SVU and devoured entire seasons of CSI: Las Vegas, I now prefer brainless garbage. The extent of my desire for drama is satisfied by Pretty Little Liars and Castle. Shows like Parenthood bring me to tears (and are thus avoided). Sometimes even Modern Family cues the waterworks (hey, that graduation episode was emotional!). I have never been happier in my entire life…and while I know that Charlie is the major reason for that, I’m starting to wonder if some of it might be due to my avoidance of depressing topics. What the hell is going on with me?! I would think that I’m alone in this, except even my optometrist brought it up while fitting me for my new prescription the other day, announcing that she only wants to rent comedies since becoming a mother. Is this one of the unspoken hazards of motherhood? Will I ever feel emotionally capable of handling the barrage of depressing headlines again? I’m not sure (yikes). In the meantime, I will eat a healthy slice of humble pie, and remind myself that being a Judgey Judge is never a good idea. I could have easily written this post. I think we have pretty similar views and live in the great liberal bubble that is the Bay Area. Within the last year, I’ve given up on the depressing stuff. I avoid the hard hitting documentaries; I love reading mindless chick lit; and I love mind numbing TV. I can only imagine that it will get worse once I become a mother. I totally get ya, and am on the boat with you. Is it bad, not sure, but it is what it is. I’m not a mom yet, but I’ve noticed that as I get older and my stress level increases, I just can’t get excited about anything outside my immediate bubble. I LOVE brainless tv: Real Housewives, Bad Girls Club, Real World. This started when I was in college and had a very stressful senior year. I watched America’s Next Top Model because the girls would be flipping out over their modeling careers while I was balancing an internship and a senior semester of engineering school. Not that modeling isn’t stressful, but it was just SO different than anything I was aspiring to do. I think you’re totally mentally healthy! Deal with what you can when you can. BTW, Charlie is getting so big! And Cute! I’ve never really been one to share my thoughts on religion, politics, etc. in an open forum. I’ve always had the mindset of “what you believe/think/feel is your opinion, what’s mine is mine and we can agree to disagree.” I would be lying if I said that I kept up with the news religiously prior to baby, but I completely understand what you’re saying. When HUT goes to sleep at night, all I want to do is just vedge (sp?) out, check my social networking, read blogs, watch reality tv and get some rest. I can totally relate to only wanting to watch comedies. Graduate School actually forced me into that mindset… things were so bleak, I didn’t want to watch anything that didn’t make me laugh. Another momma (and optometrist, ha) who barely ever watches the news. I chalk it up to not having any brain power left after dealing with work and baby. I’m not saying I don’t care, but it just seems like I have to put my energy elsewhere! I appreciate your honesty with those one, but honestly for me this is one of the most frightening post-motherhood posts I’ve ever read. I am a news junkie—I love to know what’s up and getting opinionated and having discussions. I’m one of those crazies who married someone who largely disagrees with her on a variety of issues because I just love a respectful and thoughtful discussion about political issues that much. It scares me very much to think about how the pressures of the world effect you when you have children and it’s scary to me think I wouldn’t be able to or would want to think about it. nevertheless thanks for saying this—I find it very understandable and I appreciate your thoughtfulness about how this phase has changed you. It sounds like I’m definitely not the only one! It sounds like exhaustion has a lot to do with it – I wonder if it gets better? I’d love to hear from someone who was really into current events pre-baby who now has an older kid. @turtle – I think this post would have scared the crap out of me too. My husband and I love to argue about pretty much everything, so I’m with you there. Keep in mind that I’m still in the first year here, and my child has never slept through the night. It’s very possible that I’ll be back to my old self once I get some SLEEP. And I’ll be sure to update you if I do! Like you and and few that posted above, I can totally relate. The first book I read after coming home from the hospital last summer was The Art of Racing in the Rain (what was I thinking?? ), and now I can’t even think about the book without tearing up. The Google Chrome commercial where the Dad sends his daughter all those sweet emails and youtube videos of herself? I have to change the channel, or else I end up bawling all the way through it. Lots of things trigger tears for me now, when before, they never, ever did. I guess what I wanted to say was that you’re certainly not alone. One day, I hope to be able to be more informed about the world around me, but right now, I’m perfectly happy in my little bubble. I need it to stay sane. Mini is almost 9 and I am more emotional now then I ever was, with deeper and more intense emotions. A real genuine relationship with your spouse changes your heart in various ways, but children open a part of our heart, deep within, that we never knew existed. As a parent watching your child grow, you realize just how vulnerable, impressionable, trusting and innocent children are. This is why Mothers, for centuries, fight for what they believe in and to protect their children. Additionally, this is why so many mothers campaign for the safety of children and are infuriated at the thought of someone hurting a small child. I used to live and breath Law and Order (Hello Chris Noth) but now I can only handle certain episodes of it and I don’t know if that will ever change. And frankly, I am okay with that. 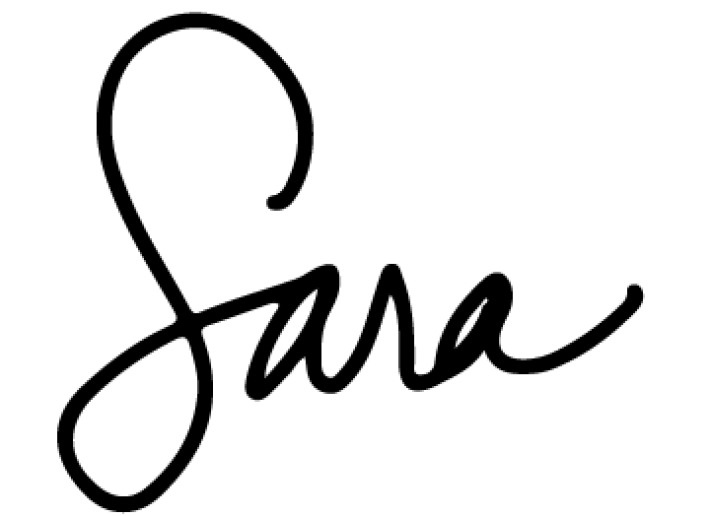 I’m sure parts of the “pre-Charlie” Sara will return over time, but now you’re a Mother and that’s a Badge of Honor you will always bear, with the good and the bad. I agree with your post 110% I think it comes down to not thinking negatively anymore. I can’t watch or hear anything bad happening to a child anymore I take it much more personally than before. It’s hard to put those thoughts into your head when you have a baby/child. Also I used to LOVE Law and order and CSI and I just can’t watch them the same anymore. I think it will get better but right now just don’t have the mental energy for it anymore. Especially since 99% of the news IS negative. I think it’s age too. I seriously gave up when George W was elected. I just couldn’t stand it anymore. I got hopeful again around the Barack election and started keeping up with the news again but now the tea party crapola is just too much for me. I get my news from the Daily show and Facebook now. Seriously sad. It has gotten worse since Elena was born, but I had already been fading for years on my morality. Don’t get me started on abortion rights though, we all have our pet soapbox. i can’t bear to watch anything too depressing either, especially when it comes to children in harm. i also think motherhood does make us more sensitive. it’s like a protective instinct, no? for me, i noticed a huge change after ellie weaned. must be all the hormones! like night and day! Just found your site today (via Copy Cat Chic) and stumbled across this post. It’s funny, because I’m right there with you! My husband, who is a movie buff, laughs at me because all I ever want to watch is comedy or rom-com. I tried to explain to him that it’s not that I don’t like a good drama or action movie, it’s that I just can’t deal with being emotionally drawn in to it. With 2 young children who bring me immeasurable joy-but also stress and sleeplessness-I just want to laugh at the end of the day. I don’t think that’s so wrong? Hi Deb! I don’t think it’s so wrong to want to laugh either. I hope I can deal with the news at some point, though. 😉 thanks for the comment! I expect it’s age too. I seriously gave up when George W was elected. I just couldn’t defend it anymore. I got aspirant again around the Barack election and started obligation up with the info again but now the tea organization crapola is vindicatory too some for me. I get my information from the Regular pretending and Facebook now. Seriously sad. It has gotten worsened since Elena was innate, but I had already been fading for geezerhood on my morality. Don’t get me started on abortion rights though, we all individual our pet soapbox.